Before pivoting to machine learning, my research tackled challenges in regenerative medicine using materials science, image processing, and tissue engineering. I've created this site to share some of my favorite projects, past and present. I hope you'll enjoy them as much as I did! 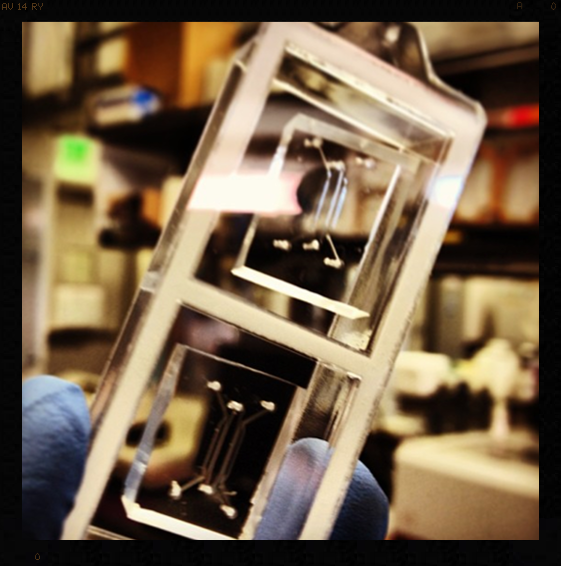 The state-of-the-art in tissue engineering is to encapsulate cells in a hydrogel scaffold that mimics native tissue. We are engineering protein materials from scratch in order to create highly reproducible, bio-mimetic hydrogels capable of customization for a variety of tissues and applications. Acute spinal cord injuries are notoriously difficult to repair, both architecturally and functionally. We are learning how to control regeneration by manipulating the biochemical and mechanical microenvironment surrounding neural tissues. We hope this information will someday contribute to new therapies for spinal cord injury. Microfluidic devices are capable of creating exquisitely defined microenvironments in customized geometries. Our device delivers a sustained dose of neurotrophic factors in the form of a linear gradient. We use this device to study the synergistic effects of dosage and hydrogel environment.